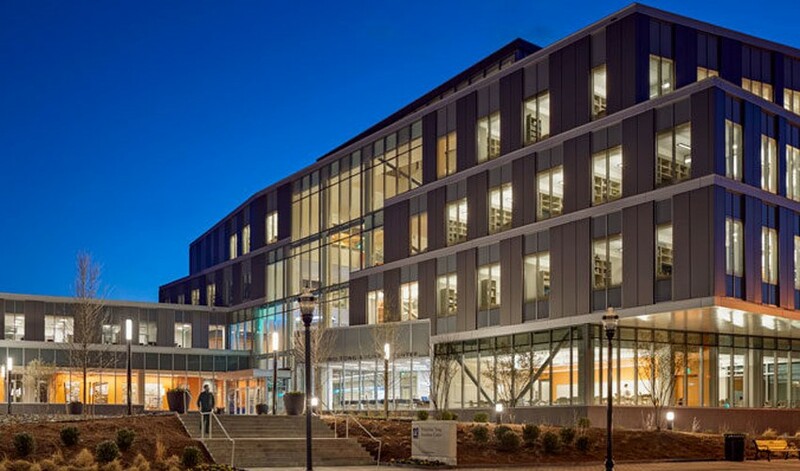 Located on UMass Lowell’s North Campus, this 52,000-square-foot, LEED Silver certified business center comprises two wings: a two-story wing connecting to Lydon Library and a four-story wing overlooking University Avenue. 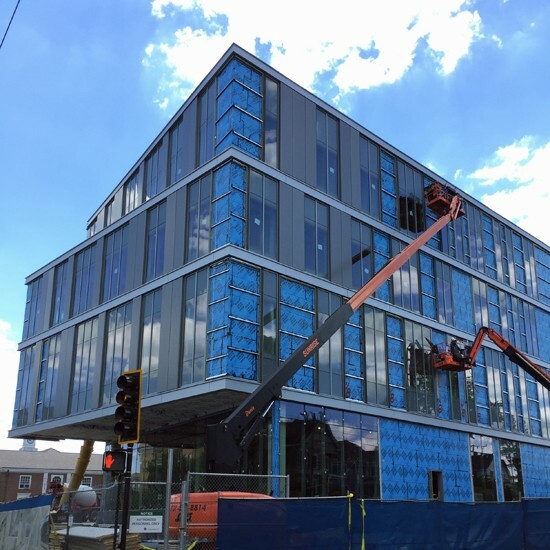 The wings feature a four-story atrium, technology-enhanced classrooms, seminar rooms, faculty offices, a finance laboratory, meeting spaces, and collaborative study areas. 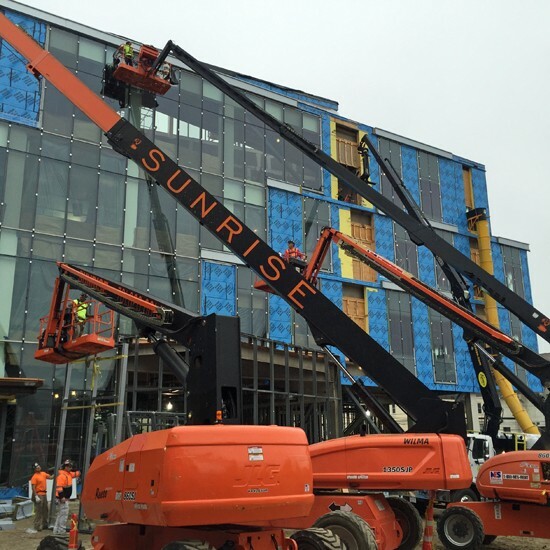 Situated on a high traffic campus corner, the building acts as a new face for the north campus along University Ave. Sunrise’s scope included framing, insulation, composite metal panels, insulated metal panels, aluminum curtainwall, and aluminum doors and hardware.